A witness has told the inquest into the death of Brian Rossiter that gardaí used force when they were arresting the schoolboy and his friend, Anthony O'Sullivan. Anne Marie Hannigan is a sister of Noel Hannigan, the man who beat Brian Rossiter on the Sunday night before his arrest, giving him two black eyes and other injuries. Ms Hannigan denied she had a personal interest in how he sustained his injuries. She told the inquest she witnessed the arrest of Brian Rossiter and his friend Anthony O'Sullivan. She said it looked to her that Brian Rossiter was being hit into the back of the head to force him down. She said one of the boys was struck with a flash lamp, but she could not say now which of the boys was being hit. Detective Garda Dan Quinlan had a flash light when Anthony O'Sullivan and Brian Rossiter were being arrested. He said he did not strike Anthony O'Sullivan with the torch, that he did not hit anybody that evening and had played no part in restraining or arresting Brian Rossiter. Garda Padraig Jennings arrested Brian Rossiter and restrained Anthony O'Sullivan before he was arrested by Det Garda Quinlan. Garda Jennings was asked if he saw what caused a nose bleed which Anthony O'Sullivan suffered. He said that may have happened when Anthony O'Sullivan ran into him after he burst through the side door of the Piper Inn pub. Garda Jennings said that was the only explanation he could offer, although he could not be 100% sure. A short time after he restrained Anthony O'Sullivan, Garda Padraig Jennings arrested Brian Rossiter. He said nothing happened to Brian Rossiter while he was being arrested or brought to Clonmel Garda Station that would have caused him an injury. 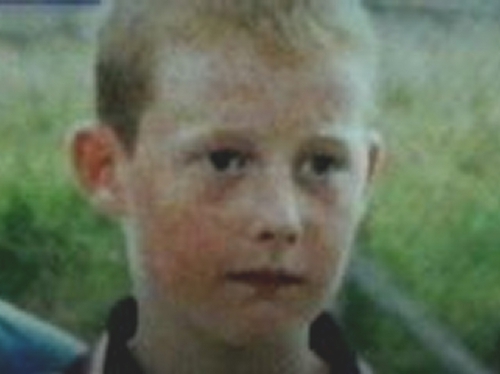 Garda Jennings was the officer who arrested Brian in Clonmel on the night of 10 September 2002. He had returned to the town after accompanying a prisoner to Limerick and became involved when he and a colleague, Garda Padraig Frawley, saw Det Garda Dan Quinlan pursuing Brian and his friend, Anthony O'Sullivan. Garda Jennings said he went to the side door of the Piper Inn. He said Anthony O'Sullivan burst through the door. He struggled to restrain him and eventually held him in an armlock before Det Garda Quinlan arrested him. A short time later Garda Jennings arrested Brian Rossiter. The inquest adjourned this evening for at least a week. It is due to resume next Thursday to take evidence from another medical expert, a forensic pathologist from Scotland. He is expected to be the final witness.